Need Custom Made Robotics Project / Product ? Our projects help motivate robotics development. 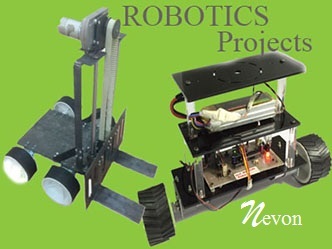 NevonProjects has all types and sizes of large to small robotics projects as desired by customers. These systems are built from scratch using microcontrollers and self made PCB boards. Our robotics projects are available in self learninig kits, readymade kits as well as self building kits. These kits are designed for various robotics needs of users. The above list of robotics projects and ideas has been researched to help students, researchers, engineers and enthusiasts to learn and develop innovative robots using microcontrollers. 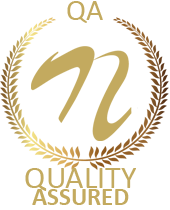 Robotic systems research has been our core objective since 1990. NevonProjects constantly researches on innovative technologies that can be used in robotic systems. Browse through our list of robotics projects and order your robotic DIY kit to learn about robotic systems in no time.Also keep visiting pur robotics section to get new ideas for robotics systems development every week.